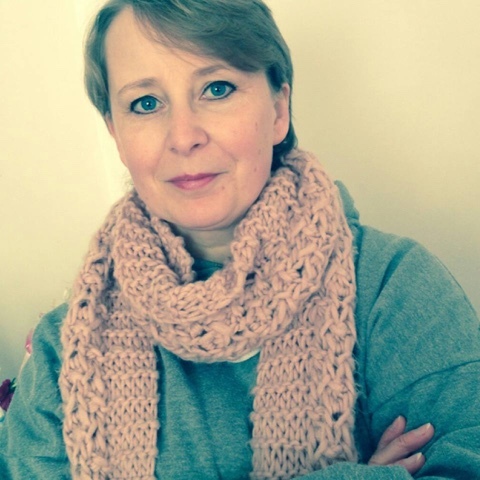 You guys are very very lucky today because I am joined by the fabulous Heidi Swain author of the equally fabulous Cherry Tree Cafe. 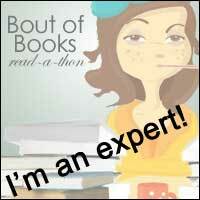 She has been answering my probing questions all about her writing & the book itself! Hello Catriona! Thank you so much for welcoming me to your wonderful blog as part of The Cherry Tree Cafe tour. It is a pleasure to be here today. I’ve always been a writer, scribbling down notes and ideas as they come to me, but I was in my thirties before I actually plucked up the courage to look for ways to share my words with the world and discover whether I could actually write anything that was worth sharing of course! I joined variouscreative writing classes in Norwich and then an online short story writing community (Shortbread Stories), before I wrotemy first novel. No, I’ve never been a full time writer. I work three days a week as a teaching assistant and, like so many others, cram my writing into every spare minute in between. It’s the same old story – an hour before work, then another either freezing or boiling in my car during lunch and then a few more minutes squeezed in at the end of the day if I’m not too tired. My two ‘days off’ are for seriously upping the word count and to be honest I can’t imagine it any other way. I think I might struggle if it was just me and the keyboard every single day. It is hard trying to fit everything in, but totally worth it. My writing has been described as both chick-lit and commercial women’s fiction recently and I’m more than happy to fall into both those camps. I try to write the kind of stories that I love to read, the ones that jump off the shelveswhen I’m browsing in bookshops, which I do a lot! Clothes, no. Shoes, no. Books, yes! I don’t think I purposefully set out to develop my characters. They seem to manage to do that all on their own. More often than not I’m the conduit rather than the puppet master. I’m just along for the ride and writing down what the characters are happy for the world to know about them. Up until very recently I’ve never based a character on anyone I know, however, there is one who has popped up who very definitely shares too many personality traits with someone I know for me to deny they aren’t based on that person. All I’ll say is watch out for book number 3, or possibly 4! What was the inspiration behind The Cherry Tree Cafe? My lovely editor, Clare Hey, has been quoted as describing The Cherry Tree Café as ‘the lovechild of Mary Berry and Kirstie Allsopp’ and I absolutely love that description. I’m mad about vintage, home-made, make do and mend and the simple pleasures in life so my inspiration, I guess, came from my own passions. I knew if I could convince Lizzie Dixon to share her story in a setting where all those things mattered most then the novel would become everything I hoped it would be. I do plan before I start writing but there is always room for manoeuvre. I know where the story will begin and end and have a rough idea of the problems the characters will face along the way, but I don’t like my ideas to be too fixed or formed. I think it stifles creativity and of course if your leading lady or man starts to pull in a different direction and you won’t let them go then you’ve got real problems! When I begin writing a novel I just keep going. It’s a real effort not looking back but pushing on is what counts. Just get that first draft down, warts and all. Probably more than I care to admit. Writing about things I love means that putting a bit of ‘me’ in there somewhere is inevitable I think. I could never place a character in a setting or landscape that didn’t inspire me and I certainly couldn’t convincingly write about a profession or situation that I couldn’t imagine findingmyself in. I need to feel that empathy. What kind of research did you do before/during writing the Cherry Tree Cafe? Let’s just say I wasn’t carrying this extra half a stone (stone), before Lizzie and Jemma showed up and my little house had nowhere near as many cushions and heart-shaped lavender sachets! Lots! Every time I read a new review I hold my breath until I reach the last full stop. I want readers to enjoy my stories and I always appreciate the time someone has taken to sit and compose a review. We all lead busy lives so the fact that the last page has been reached and the reader felt passionately enough to rate and leave a comment should always be acknowledged and appreciated. The gift of a review is literally the cherry on the cupcake for me. Hugely. My husband has always been my number one fan and the fact that he works so hard means I have the luxury of two writing days a week. I’m incredibly grateful that he has given me that gift of time. My parents and friends at work are also hugely supportive and it an absolute joy knowing that they can now read for themselves the result of my endeavours! Extremely excited, but also terrified. 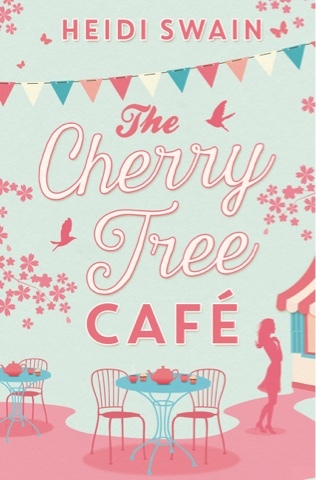 Fortunately the fabulous blogging community and fellow authors are a hugely supportive bunch and I remember letting out a huge sigh of relief as those early reviews came in and I began to accept that there were readers out there who were going to love The Cherry Tree Café just as much as I do! On publication day I spent literally hours on social media trying my best to thank everyone individually for their likes, faves, shares and rt’s. It was exhausting but also exhilarating. The launch party at the crafting café Arts Desire in Norwich was wonderful and I don’t think I’ll ever get over just how many people turned out to celebrate with me. I’m going to answer that question with just one name, even though I could list many. Milly Johnson, or Dame Milly as I call her, has been an absolute inspiration to me. I am truly blessed to share the same publisher as the great lady and she has been nothing but kind, supportive and encouraging from the moment we met. I adore her writing and know that should I ever get in a pickle she would always be on hand to help me out. She’s just that kind of person. I’m currently editing Novel Number 2 and have Numbers 3 and 4 clearly in my sights. They are all set around Wynbridge so readers can rest assured that Lizzie, Jemma and The Cherry Tree Café are never going to be too far away! Thank you so much for taking part in The Cherry Tree Café blog tour Catriona and thank you all for reading! And thank you Heidi-you can all rush out & buy thus fab debut novel now! Loved this personal insight. Great questions.